Lanvin’s new Pre-Fall Sugar Bag ($1,990 - $5,585) is just hitting stores but it’s already garnering a slew of celeb supporters—and it’s clear why! 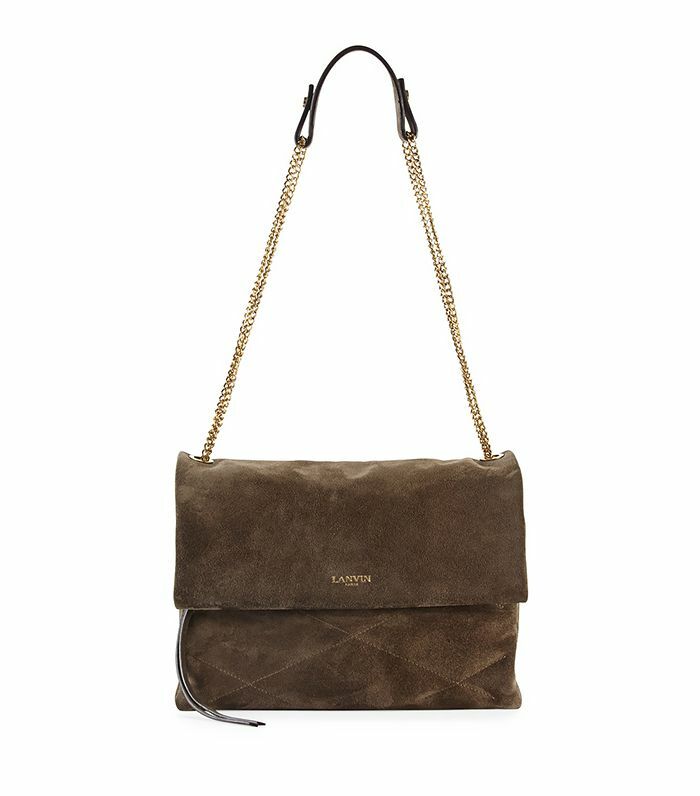 The ladylike bag is perfect for everyday outfits, but still looks great with a cocktail dress or miniskirt. 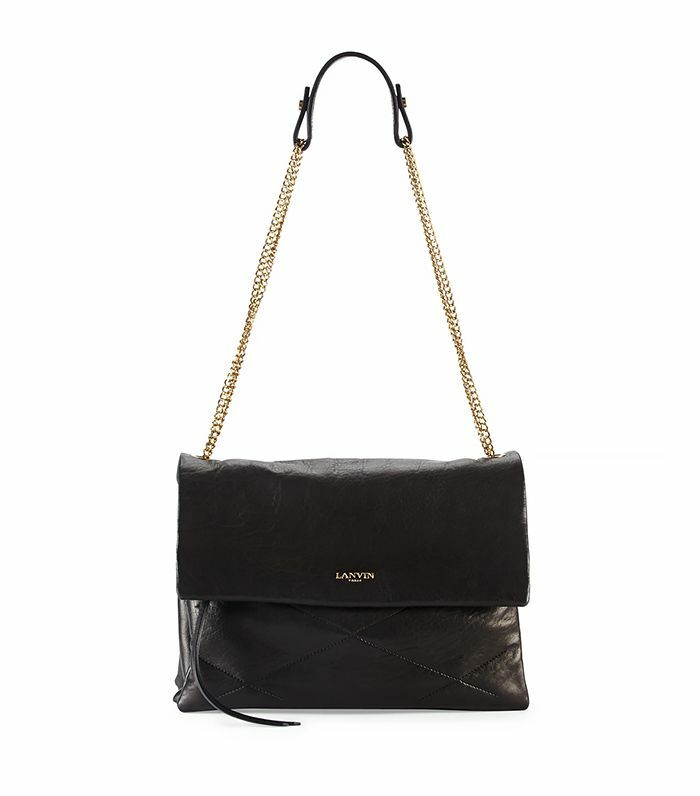 Keep reading to see how Diane Kruger, Zoe Saldana, and Jessica Alba styled the bag and of course, to shop it! Out and about in LA earlier this month, Diane Kruger looked stylish in leather pants, heeled sandals and a graphic sweater. On Kruger: Stella McCartney Flame Sweater ($591); Lanvin Sugar Bag ($2190) in Red Glossed Lambskin; Gianvito Rossi Carlie Sandals ($1020). While attending a party in Cap d'Antibes, France last month, Zoe Saldana toned town her floral cocktail dress with her black Sugar bag and simple heels. On Saldana: Etro S/S 14 dress; Christian Louboutin Belly Nodo Sandal ($895) in Black; Lanvin Sugar Lambskin Shoulder Bag ($2190) in Black. On a family outing in Los Angeles last month, Jessica Alba looked chic and elegant in all-white outfit with simple black accessories. On Alba: Tanya Taylor Bora Floral Mesh Crop Top ($575) and skirt; Lanvin Sugar Lambskin Shoulder Bag ($2190) in Black; Sarah Flint Lisa Flats ($382). Keep scrolling to shop the newest it-bag. We always say: grey goes with nothing, so therefore it goes with everything. So if you are looking for a super versatile, day-to-night option, this is your hue. Which Celebrity Has the Best Designer Handbags? A blue bag is perfect for summer! 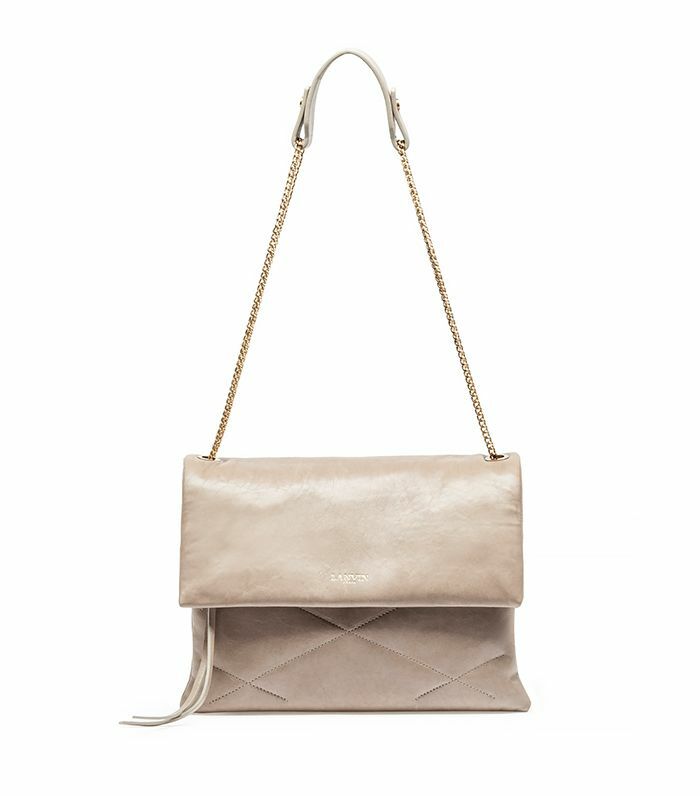 A ladylike cream-coloured bag is a must-have for every woman. A celebrity favourite, the black style has a timeless look that we love. How would you style it? Tell us in the comments below.